Model Train Simulation At Its Finest! 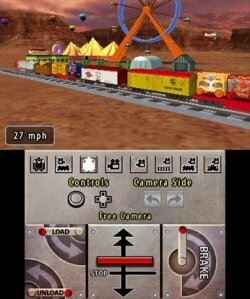 Developed and published by Big John Games, Lionel City Builder 3D: Rise of the Rails is easily the best locomotive simulation title released on the 3DS eShop to date and here's why! 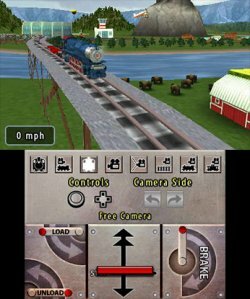 The gameplay is extremely self explanatory, you drive a train and casually enjoy the scenery while picking up and dropping off passengers and cargo. The mission mode is basically a tutorial of creative mode that teaches you how to get the most out of the game. The cool thing about this game is its city customization which allows you to create a scenic train route by creating a location packed full of hundreds of different buildings and landmarks! The controls are really simple and easy to learn which is nice. Don't expect much challenge from Lionel City Builder 3D: Rise of the Rails as the game is very casual in nature and focuses more on the creative side of things. Visually the game looks great with detailed 3D models, fluid graphics with little to no slowdown, and great lighting effects! The audio is fantastic as well with Lionel quality authentic train sounds which will put a smile on any train enthusiast's face! 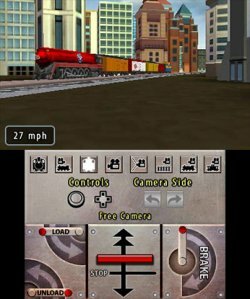 With great gameplay, excellent controls, and a fantastic audio-visual presentation Lionel City Builder 3D: Rise of the Rails for the 3DS eShop is the best train simulation title currently available on the service and we highly recommend the game to any train enthusiast who owns a 3DS family handheld! I'm not that interested in this though it sounds good for a train simulator. You sure do write a lot of reviews for our community.